How long have you been using a wheelbarrow? Have you ever got hurt? Cause I did, pretty badly. I had to visit a doctor because of the back pain I got from using the wheelbarrow in a wrong posture. But not only me, this macho man got hurt too! Jokes apart, I know a wheelbarrow is a workhorse in the garden, but if not used properly, even your a good wheelbarrow may hurt you. Therefore, don’t be damn care while handling wheelbarrow considering they are very simple to use.Also, you might think that as this tools usually do not have motorized parts or sharp edges, you should not give any extra concentration to handle it. But wheelbarrows still cause some serious injuries spilling over the particles by overloading, losing control over the handle, gesturing body badly etc. So, be a bit cautious in handling wheelbarrow. So, here’s some tips you can follow to stay safe from this workhorse that I learned after seeing the rude side of mine, lol! Which tire is a go? You won’t love wiggling, weak handles or a wobbly wheel in your wheelbarrow that may fall off…like mine did. So, make sure you check all the nuts and bolts before you load your wheelbarrow up! My kid loves to handle a small loads with his wheelbarrow. No doubt, his wheelbarrow is a very good kids wheelbarrow ,but before using , I always make sure that things remain tight so that my little here don’t get hurt. Now, this is a question you might want to ask while you are buying a wheelbarrow. See, the solid rubber tires might be free of maintenance but they are only good on hard smooth surfaces, something like asphalt or cement. Whereas, Pneumatic or air-filled tires are good for both even or uneven terrain and they will travel over a bumpy yard with ease. That’s why they are my first choice. Oh, don’t forget to keep them aired up. Now, if you already have bought a wheelbarrow with rubber tires, and wondering how you can deal with bumpy roads with that, my only suggestion is, be careful and always see your route closely. Try to avoid the bumps as skillfully as you can. The first thing you need to ensure is straight back (erect). When lifting, you should be standing between the handles, feet needs to be planted solidly with one slightly in front of the other and your back definitely should be straight. Always remember one thing, use your legs to lift, not your back. Put most of the pressure on your legs, never on the back, unless you want to get a back pain like me. The posture should be the same from lifting to dumping. You don’t wanna overload your wheelbarrow which might fall off and hurt you. Even a good quality wheelbarrow might fall off if it is loaded with more than maximum capacity of the load. Be sure that if you overburden the wheelbarrow, you will lose the control of it which may bring injury to you and damage to the wheelbarrow. Overload can a cause of breaking the handle, bursting the tire, bending the tray, no matter how heavy duty wheelbarrow is yours. In case of large loads, divide them into small loads and make several trips. 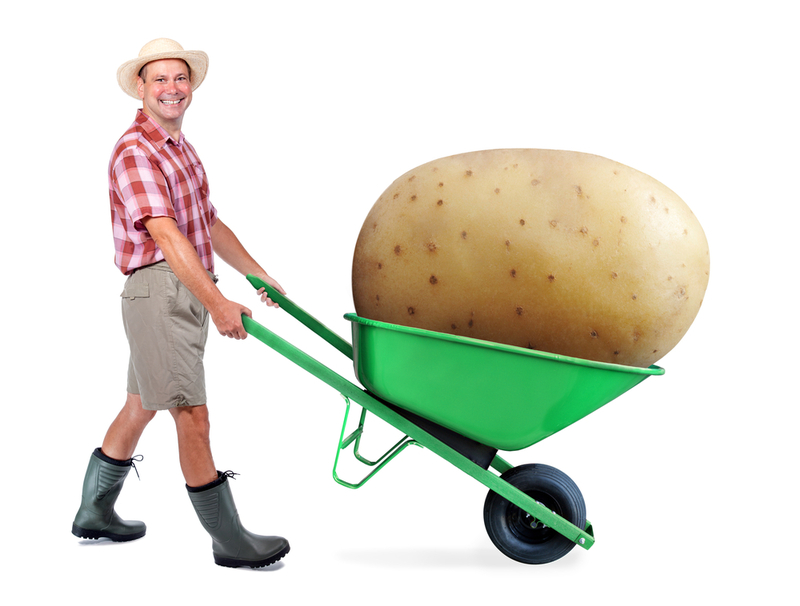 Did you know that distributing the load better in a wheelbarrow can save you energy? Two wheel carts can tip forward while single wheel styles are most prone to tipping side to side. To ensure a better weight distribution, you should place the heaviest part of the load over the wheel, or wheels in the center and a little bit forward. This makes the wheel(s) take the pain and bear the weight better and it’ll allow for leverage to help lift the load. So ultimately it saves you energy and possible strain as well. 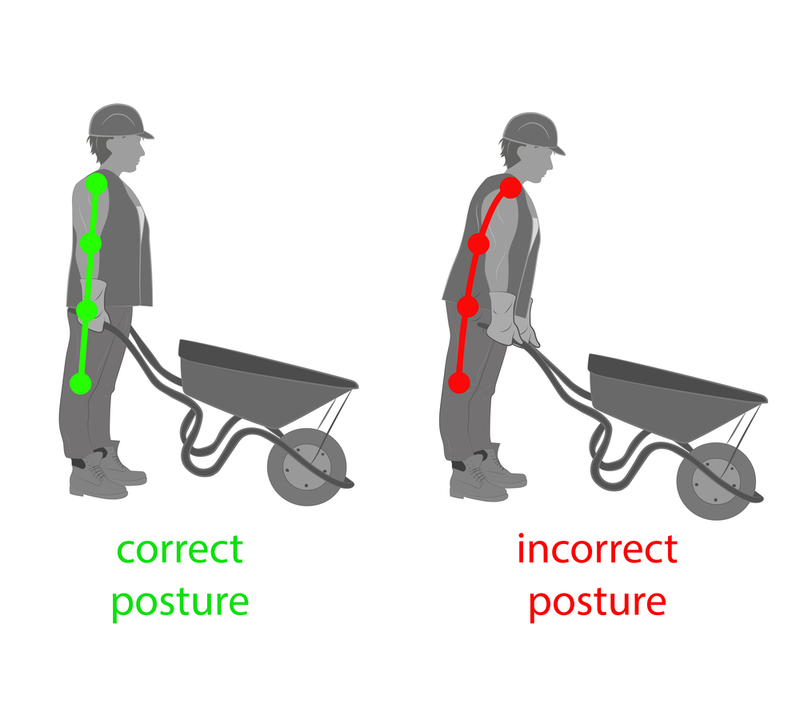 You need to take special care while you run your wheelbarrow on the hilly or sloppy area. Keep your load small so that you can maintain the balance of wheelbarrow properly on a hill or sloppy area. In this particular area, please keep your speed slow to avoid any damage. Even after taking all special care, if you lose somehow control of a wheelbarrow, leave the handles and alert the people by shouting so that they can save from the accident. Did I say not to overload? Now, overload can be measured from two aspects. Wheelbarrow, and you! Always Keep Loads appropriate for your strength. 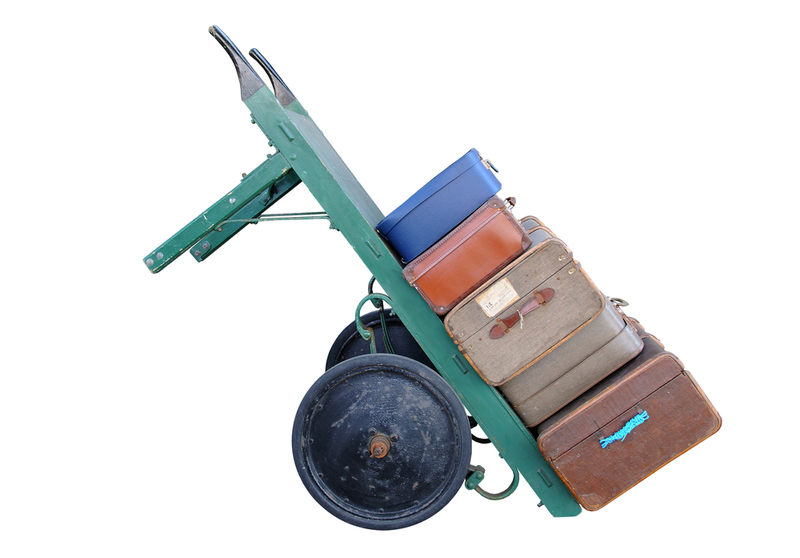 Just because you have a big wheelbarrow doesn’t mean you’ll jam-pack it even if you can’t handle that much weight by yourself! So, don’t try to pretend macho by showing off how much load you can handle, rather work smart, load according to your physical strength and stay injury free. Keep wheelbarrows away from stairways and emergency exit so that it does not make any impediment in case of emergency exist. If you are a normal gardener who only needs to deal with mud or that kind of materials, this might not be compulsory for you. But if you use a wheelbarrow to haul hard objects in bigger amount, you should wear proper and complete PPE. 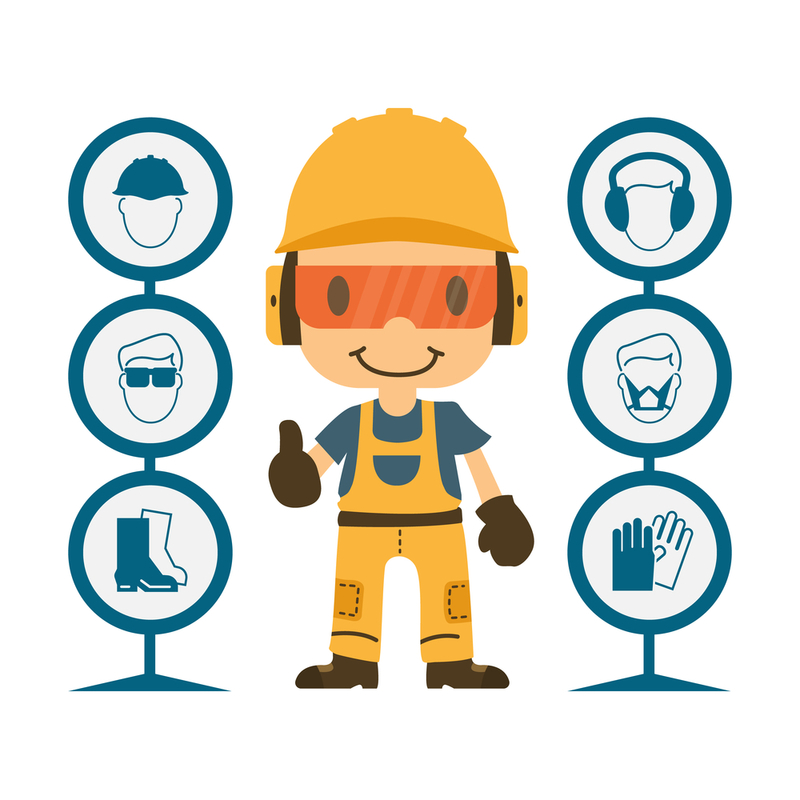 The PPE may include hard hat, heavy-duty gloves, cover-all clothing, safety goggles/ glasses, and safety boots or shoes. Ramp is the great way of running of wheelbarrow. It does not only make the easier to move the wheelbarrow but also keep safe from while handling the wheelbarrow. So, these are the things you should remind while using a wheelbarrow to not to get hurt by your useful tool. Do you think there can be any more tricks to follow to ensure more safety? Shoot your words in the comment section below. I’ll update the article with your tricks along with a credit to you.